In coming to write his Violin concerto Brahms, a virtuoso pianist and not a violinist, sought the assistance of his friend the Hungarian Violinist Joseph Joachim. A lengthy correspondence ensued between them, and the concerto was finally dedicated to Joachim. It does however appear from manuscripts annotated by Joachim that Brahms did not often act on his advice. The technical demands made on the soloist are indeed formidable, involving multiple stopping, broken chords and rapid passage work. However, nowhere in the work is there virtuosity for its own sake. The soloist and orchestra are combined in a musical structure of great beauty, character and depth. The premiere took place in Leipzig on new year's day 1879. Brahms conducted the orchestra and Joachim was the soloist. There was some dispute about the programme. Joachim insisted on playing Beethoven's violin concerto as well. 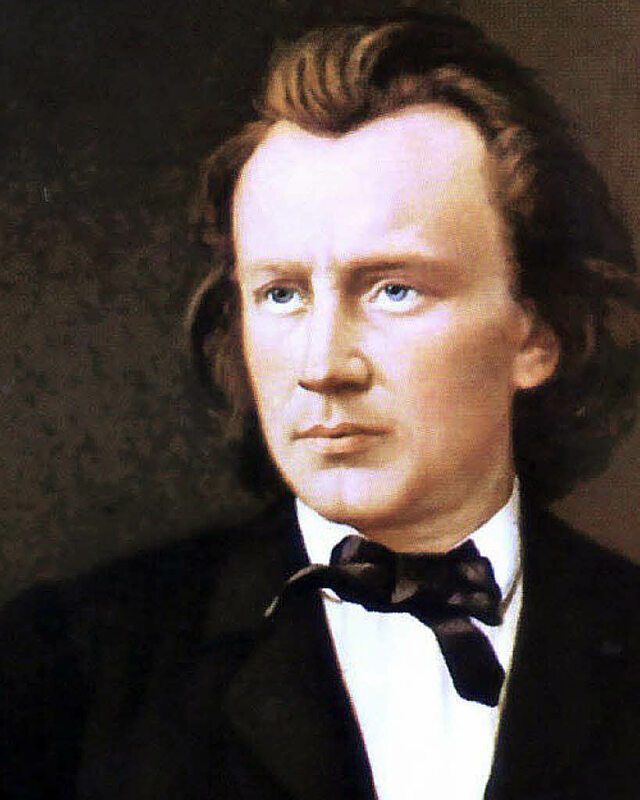 Brahms may have been anxious that his work would be overshadowed by Beethoven's established masterpiece and complained that "it was a lot of D major and not much else on the program." Initial critical opinion was mixed. The conductor Hans von Bülow, reputedly called it "a concerto not for but against the violin”. The Polish virtuoso violinist Henryk Wieniawski called it "unplayable". However the concerto quickly became established as one of the most popular of its genre and has occupied a regular place in concert repertoire ever since. The first movement is longer than the other two put together, and is lyrical and sunny in nature. It has four important contrasting themes, the first three are introduced by the orchestra and the fourth by the soloist. It is in sonata form, following the classical mould having an extended development section and recapitulation. Brahms, in his humourously self deprecating way referred to the second movement as a "feeble Adagio." It opens with a beautiful and haunting melody played by the oboe. This was a radical innovation for a concerto and it did not meet with universal approval. The violin virtuoso Pablo de Sarasate refused to play the concerto saying that he would not "stand on the rostrum, violin in hand and listen to the oboe playing the only tune in the adagio". Now however the oboe solo is regarded as one of the concerto's greatest moments, providing as it does a simple striking contrast to the virtuosic violin. The finale is a rondo movement in gypsy style. It has two episodes, which share the same musical ideas, and concludes with a march like coda. The movement is lively and energetic from start to finish, with plenty of opportunity for virtuosic display by the soloist.